Graduation season is here and we’ve been talking all things that make a university commencement go viral. In the last blog post, we looked at UW Milwaukee’s Karaoke Carpool to the ceremony. Today we’re taking an in-depth look at the universities who bagged the biggest names on the planet and got them to share their words of wisdom with the graduates as they prepare to go out into the world. These speeches are inspiring, emotional and they’ve made us question why Oprah didn’t come to our graduation. Was she busy with Gail that day? "You might think your time and education is done, but after you leave here today I’m asking you guys to let your actions out there in the world fuel the demand for the better, and accessible education. I know that somebody out there right now in this class just might occupy the White House one day. And let me be clear: not red, and not blue, but maybe purple like NYU." "As you go off now to start new jobs or new graduate programs, or maybe you already have a career or maybe a million followers on Instagram and you don’t even need my advice. But whatever chapter, whatever your next chapter is, define it by being true to your authentic self. Fill it with meaning. Because you’re on the other side now, and maybe fear is starting to creep in, perhaps aggressively — fear of the unknown. Oh, the excitement of today is about to become a memory, and you will have to join the rest of us in a world where there are no more graduations. It’s your turn to choose and define what success means to you. Now, others will try to define it for you, but yours is the only voice that matters." 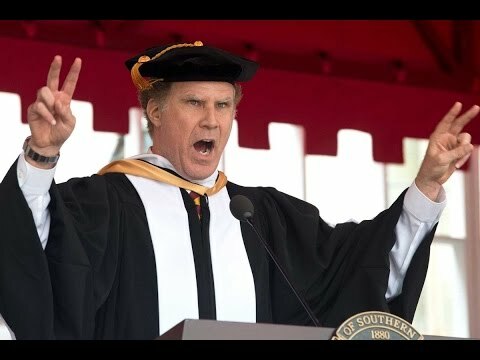 Was there a commencement speech of 2017 that stood out for you? Let us know in the comments below.